Students cannot afford to pay another dollar. 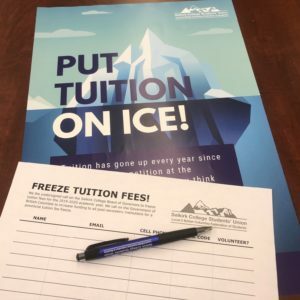 In January 2019, the Selkirk College Board of Governors will consider a motion to increase tuition fees for the coming year. If the increase passes, students will yet again pay thousands of dollars more into the College’s budget next year. The College is under no obligation to increase tuition fees. The addresses are for the College’s Board of Governors, the Board of Governors’ resource person, and an email used by the Selkirk College Students’ Union so we can collect the letters on our end as well. We’ll then use the submissions to pressure the Board of Governors directly. I am a student at Selkirk College. I am writing you regarding tuition fee rates at Selkirk College. Tuition fees have increased every year since 2001. Instead of dealing with the issue of college funding the government has just pushed the cost onto students’ shoulders. It is time that the College showed leadership by freezing tuition fees so students can get a reprieve from increasing costs. Tuition fees are a tax on education that increases every year. Rather than increasing education taxes on students and their families the College should demand that government provide adequate funding. Increasing tuition fees on students is a subsidy to the very wealthy because the alternative is progressive income tax adjustments. It is more reasonable for business people and corporations who profit from having an education population pay more in taxes than it is for struggling students to shoulder the burden. The College can support this by freezing tuition fees for the coming year. Many students are struggling financially for many reasons. Minimum wage has not kept up with inflation, youth unemployment is high, and average wages have been stagnant for many years. We cannot afford another increase in tuition fees. International students already pay many times the tuition fees of domestic students. Continuing to increase international student tuition fees is exploitative and hurtful to those already paying more than their fair share. The average age of Selkirk College students is in their later 20s and many already have children and families. Trying to budget for a family and cover tuition fees is already an impossible balance that cant take the strain of a tuition fee increase. When tuition is high everywhere, it makes sense for students to move to attend schools with wider courses offered in cities with better services like transit or housing. It’s hard to live here and it’s especially hard to live here as a student. Tuition and other fees are driving students away to study. Some international students don’t feel valued as students because there is a common idea that those classmates are here to pay the bills. This can make it even harder for domestic and international students to share ideas and work together, which is the real benefit of sharing education and ideas between countries. 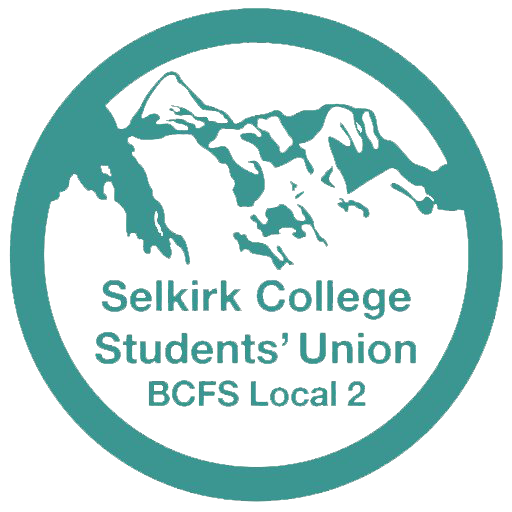 Thank you for considering the needs of students during the budgeting process for Selkirk College. Please keep me informed about this matter.